Your baby's nursery, the laundry room, the guest bathroom. 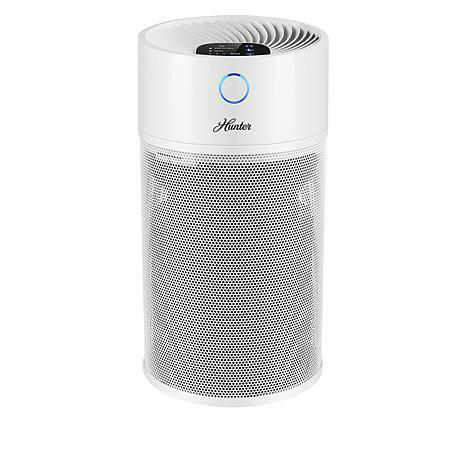 With this purifier you can enjoy purified air even in your small spaces. 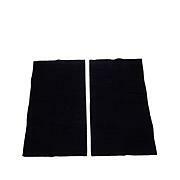 The ViroSilver pre-filter and HEPA filter system capture particles and inhibit the outgrowth of certain micro-organisms, like bacteria, that are trapped in the ViroSilver pre-filter. 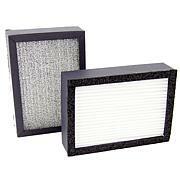 The TrueHEPA filter removes harmful VOCs and odors and filters out up to 99.97% of airborne contaminants as tiny as 0.3 microns that pass through the unit, such as pollen, dust, smoke and all sorts of allergens. 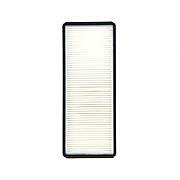 ViroSilver pre-filter should be checked every month and replaced after three months. 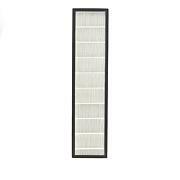 True HEPA filter should be checked after 12 months and replaced after 18 months. Recommended Room Size: 238 sq. ft. Since 1886, Hunter has provided you with fans, lighting, humidifiers, air purifiers and air filters of the utmost craftsmanship and quality. With styles ranging from classic to contemporary, products are not only ultra-quiet, but are also beautifully built. Intent on making your comfort a priority, Hunter designs products with quick, easy installation and maintenance in mind.